Fluoride still has its place in many municipal water supplies and dental products throughout this country – at least that’s what the CDC thinks. The CDC calls public fluoridation one of the foremost health achievements of the 20th century, and yet fluoride is a deadly substance that has been pushed using propaganda. The main ingredient in rat poison and many pesticides, fluoride is a known toxic substance. It is documented as being used by Nazis as sarin nerve gas, as well as having the ability to mitigate aggression and dissent in prisoners. Interestingly, fluoride is also the main ingredient in Prozac, producing a similar lobotomizing effect on those who use it. If this wasn’t enough, fluoride consumption has also been linked to various types of cancer and health defects, even being called the #1 cause of death. 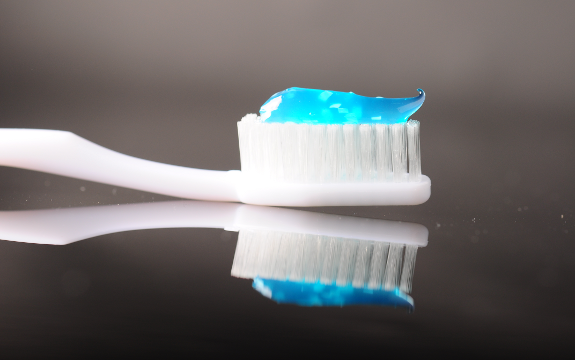 This chemical byproduct was given its place in municipal water supplies in the midst of the 20th century, and has been featured more and more in dental practice as well as home care dental products. The premise of municipal fluoridation is to diminish tooth decay in populations, but fluoride has been shown to little or no impact on oral health and hygiene. The propaganda however is strong, assuring unwitting partakers that fluoride is good for their teeth, and some dentists make it a staple of their practice to use fluoride in their procedure as a topical agent, or a supplement. For a long time, fluoride has been given to young children and adults alike, so it’s impossible to know the full extent of the damage done in this regard. The truth is being realized though, with various townships and cities are actively calling for the removal of fluoride from their water supplies. It’s hard for fluoride propaganda to be effective when it is an obvious façade with numerous holes destroying its credibility. While fluoride is being removed in some locations, many also have yet to take action. In addition to this, fluoride still lurks in the food supply and many dental products and some medicines like prozac. Be wary of these products, and quick to educate yourself and others on the true nature of such a substance.